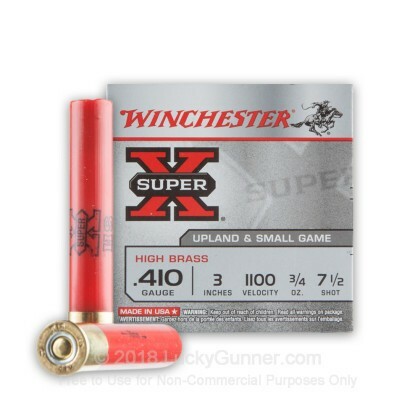 This 410 bore upland load from Winchester works well for hunting small game. 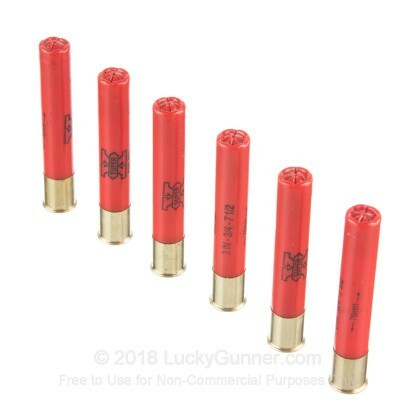 Each 3" shell in this box of 25 fires 3/4 of an ounce of #7 shot at a muzzle velocity of 1,100 feet per second. 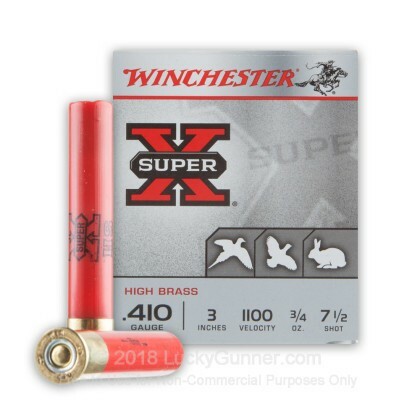 Winchester Super-X shotshells use reliable 209 primers and one-piece hinged wads that produce nice tight patterns. 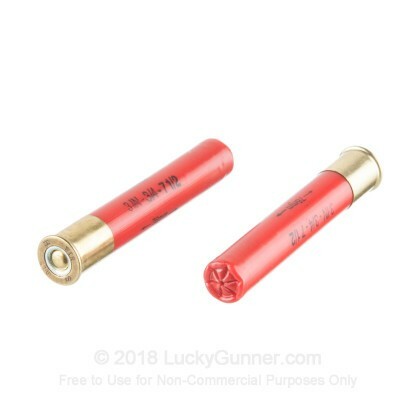 The wad also serves to keep recoil down, although this isn't a major concern with the 410 bore. 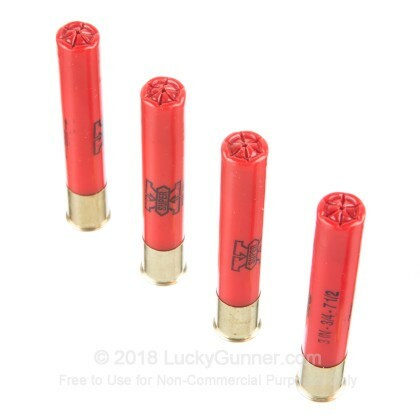 These shells are loaded in Oxford, Mississippi, home of most of Winchester's ammo manufacturing operations since 2011. 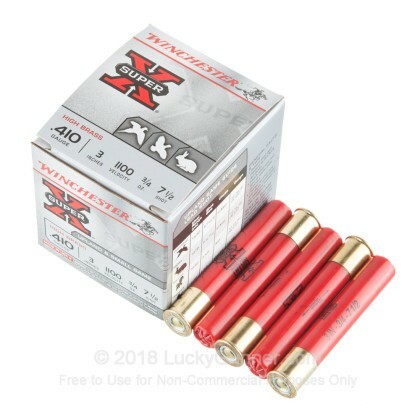 Easy and quick ordering process and ammo was excellent! Price was good too!